A family trip to France, established the thought of ‘La Cigale’ in Elizabeth and Mike Lind’s mind. 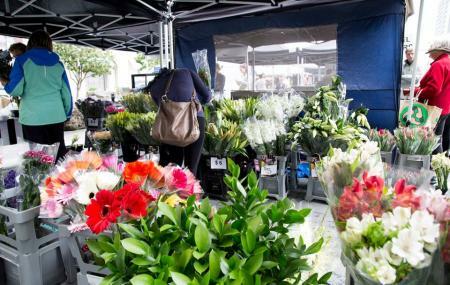 Today, the place recreates French magic in Auckland and is loved for its bistro, market and shops. The La Cigale French Market is part of the other cafes and shops that offer authentic French food, antiques, exclusive French fashion,home-wares, gifts and delicious gourmet dishes that take you straight to the heart of France. Stop by at the place in the morning to start you visit with a delicious breakfast of croissants and coffee. How popular is La Cigale French Market? People normally club together Waiheke Island and Auckland Museum while planning their visit to La Cigale French Market. People also prefer to start their day with La Cigale French Market. One of the oldest farmer's markets in Auckland. Always reliable and customer focused. Good fresh produce. Not everything is organic. Very popular with tourists. I come to this farmers market every week to do my local produce shop! The produce is always varied and fresh and the service is amazing! They greet me by name and I feel like a valued customer every time. In addition to the produce they have heaps of vendors serving ready to eat foods like crepes, paella, dumplings, smoothies and more! There’s also an amazing smoked salmon stand plus and stand with some amazing dips like flavoured hummus and eggplant. There’s usually live music playing and they allow dogs on the outside part (there is an additional indoor part for more food like coffee, fresh bread and pastries). I would recommend coming earlier as it tends to get busy later, especially if you decide to drive. There’s a fair amount of parking but I take the bus and walk (it’s uphill getting back - be forewarned!). And also right next to the market is Goodfor bulk store so you can do the entire weeks shop in one quick swoop! Don’t forget your containers! The weekend markets are the buzz of Parnell, where people come to meet friends, get their weekly produce, and try some amazing foods. Featuring large open spaces, unique decor and frequent live performances. There is a full time cafe and a healthy food shops around. The food here is pretty great, especially the baked goods..worth a visit!